We’ve got artists, designers, photographers, musicians, programmers, IT experts, life coaches, spiritual teachers, healers, doctors, yogis, environmental engineers, fire spinners, nurses, technicians, e-learning directors, journalists, authors, realtors, architects, entrepreneurs, teachers, bankers, and the list goes on. The power and the potential at Better in Belize is quite considerable. Belize is like North America in the 60’s where treading lightly wasn’t at the forefront of people’s minds. It takes people, it takes a village to introduce this thinking here. The resources for living lightly aren’t as centralized in lands where green-living is a household term. It takes us to find these resources, share them and conserve them. Every week we make new insights on how to tread lightly. Some Are Living Here. Some Are Snowbirds. Not everybody can poise themselves right away to live in this rainforest. Many come here as a home away from home. Many of those bring chocolate to the rest of us from lands with more chocolate. This year, a surge of permanent homesteaders will roll into Better in Belize to join the existing ones. Relocating countries takes time, so it might take some owners a few years of saving and planning to make the transition. This is fine. The neighborhood has their back. Imagine being surrounded by people on the same wavelength, instead of randomly buying into a suburban lot of monopoly houses. Many people who are interested in “eco villages” want more than a mainstream lifestyle. They tend to be interesting, profound and compassionate folks who seek true neighbors with whom they can talk and relate. When discussions occur, you can be certain they are of interest because Better in Belize draws interesting people with many common tastes. One consistent common appreciation among all of us is good health. Though you’re not required of course to live a given diet, healthy-living seems to be a concern with all who come here. Better in Belize can deliver with its organic gardens; and knowledge of where to acquire healthier foods and how to prepare them. Belize itself hasn’t been as dominated by food chemical companies as well, so there are plenty of simpler, purer foods to be found. You don’t come to Belize if you hate fun. 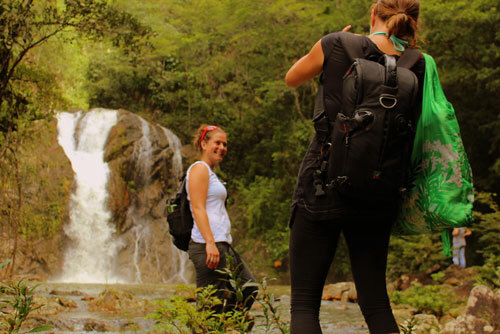 We don’t have to tell you about all the fun things to do in Belize on this page. If you want fun, go to the Regional Attraction Page and Fun Spots Page. At our homes, we love to get together in evenings every so often for good food and drink. AND, with more and more homes being built, there will be no lack of housewarming parties. At Better in Belize, we agree to live within written ecological guidelines that are quite simple and not too extreme. If you are looking for a place that has stricter rules, then you are free to live them and inspire others to do so. This doesn’t mean that we don’t continually try to improve our daily lifestyles or that we don’t respect the rainforest we call home. The lots are your own after purchase. You get a title. Better in Belize intentional community doesn’t ask to assimilate possessions into a collective. We’re basically the next step toward green-living from a North American average lifestyle. It’s a significant step in the right direction, but it’s not a shocking transition as we’re all here to help. This is a community and a community has continual needs. There will be vacuums like this that villagers are welcome to staff. Opportunities for income aren’t the same as in major urban markets, so many are following their bliss and making opportunity. Care to join our community of like-minded people? Contact us today!